Getting the right dialyser for the specific demands of each therapy is crucial. Constant innovation, together with our commitment to the highest standards of quality assurance ensures our product range is built to address the individual needs of every patient. What’s more, as a vertically integrated manufacturer, our bloodline systems provide a complete end to end solution for all Haemodialysis therapies. We never compromise on clinical performance. Why should you? Our premium dialysers range features our proprietary polysulfone membrane. No ‘dead zones’, no loss of diffusion. With Allmed’s micro-undulation technology, you can be sure of the highest efficiency and performance. POLYPURE® is the world’s most extensive synthetic dialyser portfolio, offering the next generation of therapies. A marriage of great design and great manufacturing ensures POLYPURE® performance is second to none. High solute removal, low albumin loss and high endotoxin protection ensures the very best quality of life for dialysis patients. 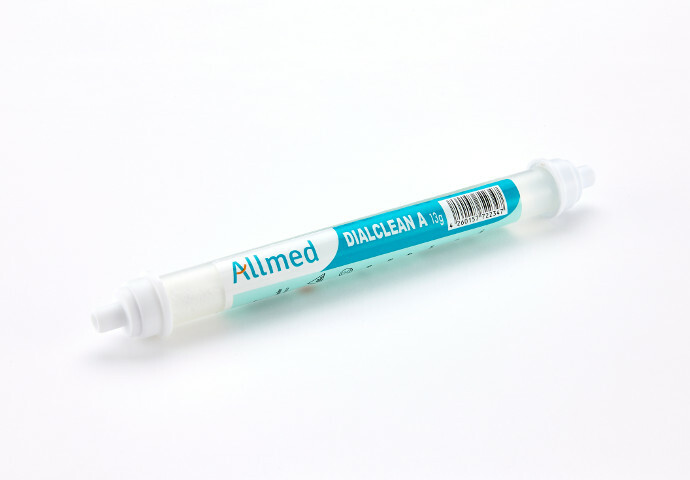 With eight surface areas/sizes, three flux types/ranges of permeability and three sterilisation types, Allmed boasts a portfolio that caters for every possible/imaginable need. 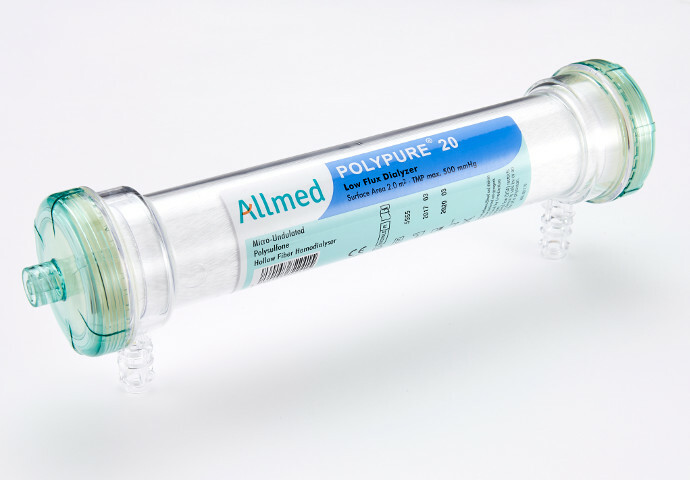 The POLYPURE® proprietary micro-undulated polysulfone membrane decreases resistance to dialysate flow, minimizing dead spaces, allowing for full capillary utilization. A thick 40 micron fibre wall across the entire family to sustain a protective barrier against endotoxins. *POLYPURE® is marketed in other territories under other brands, including Platinum. 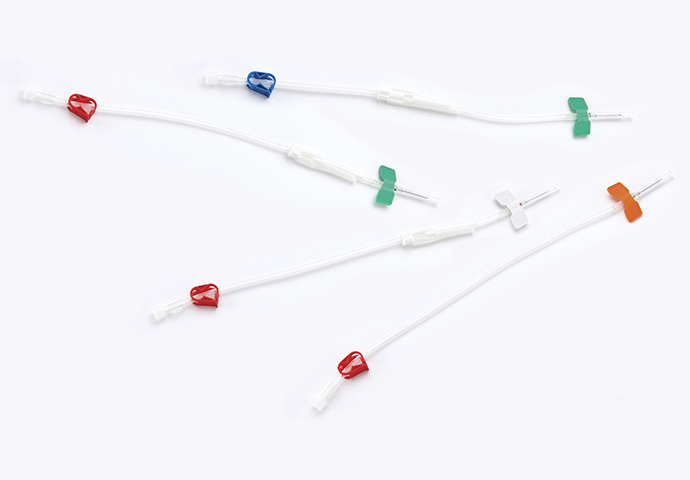 Our High Flux Series of Haemofilters harness the very latest technology, and the very safest hollow-fibre materials. Think of them as years of clinical knowledge – at your disposal. Easy to use, with technology you can trust, our bloodline systems offer the security you need to deliver first class medical care. We understand that bloodline systems are the frontline of renal care. 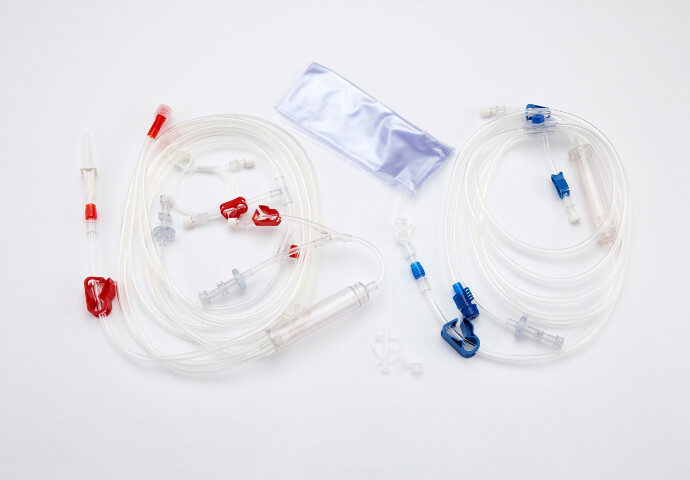 That’s why our blood tubing systems – including phthalate-free bloodlines and irradiated bloodlines – are designed with three essential objectives in mind: clinical performance, ease of use for medical professionals, and machine suitability. Biocompatible materials and advanced extrusion, assembly and leak testing technologies for a smooth, constant and non-reactive blood flow. From tubing rigidity and length, to clamp design, our bloodlines are created with the user in mind. Rigorous testing ensures they’re the most ergonomic systems on the market. Our interfaces offer a high compatibility between bloodline and machine – for all platforms, and for all patient groups. 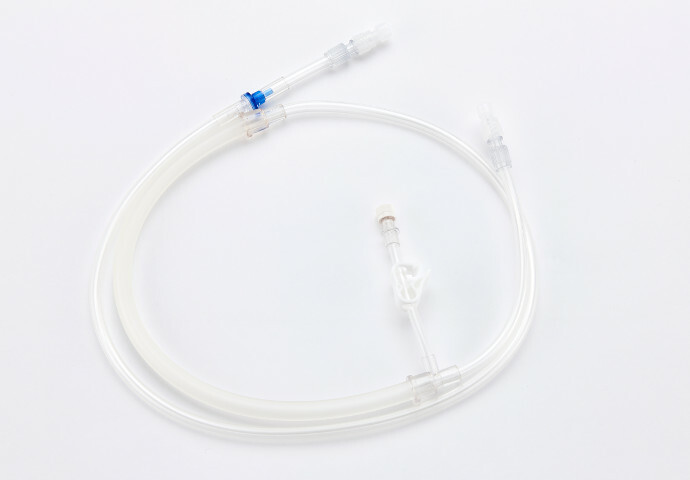 Convenient and safe, our HDF Tubing Sets are built to enhance the performance and efficiency of all renal procedures. The quality and purity of the dialysis fluid are the most critical component of renal therapy. Our filters are built for purpose. Micropure S is the culmination of years of blood filtration expertise. The result? A truly advanced system of fluid purification. Online haemodiafiltration is a preferred treatment for patients suffering from CKD. To be safe and effective, substantial amounts of sterile fluid is required. That’s when you need to trust the enhanced purification delivered by our Micropure S system. Supplies non-Pyrogenic substitution fluids, to be infused directly into the bloodstream. A well-functioning vascular access is essential to perform any efficient haemodialysis procedure. Our fistula needles won’t let you down. Precise, gentle and secure – our fistula needles provide critical vascular access with the peace of mind, and blood-flow performance you seek. Allmed-arteriovenous fistula is a lifeline for critical renal procedures. 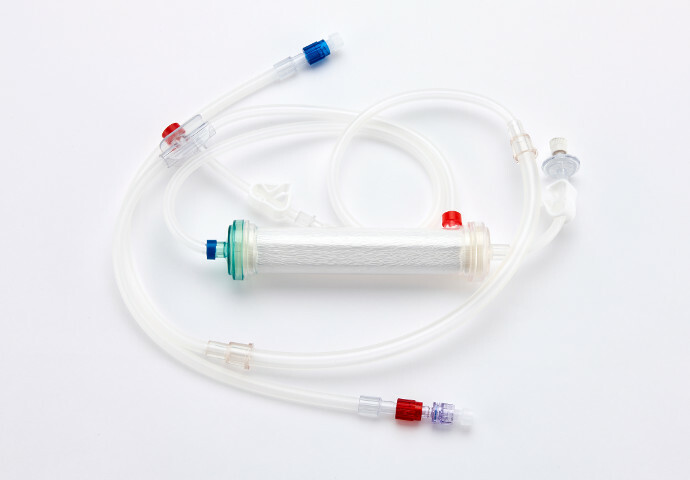 Manufactured under the strictest safety standards, our full range of cartridges are an essential component of any dialysis fluid delivery system. Formulations targeted to every patient’s needs. Dialysis fluid is a critical factor in safeguarding a successful treatment regime. Whether custom formulation or standard prescription, our solutions deliver electrolyte and acid–base balance, as well as removing metabolic waste products. Our solutions are targeted to individual patients’ needs. For that reason, we offer a unique “build your own solution” service. Innovative, efficient and ready to use, our solutions offer chronic dialysis patients – and their clinicians – complete peace of mind. Ready to use standard prescriptions available to order. We can customise formulas to your patients’ needs. 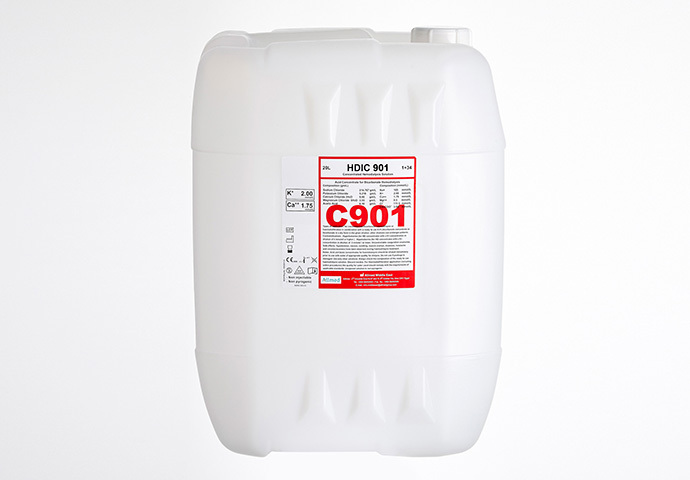 Flexible concentrate bottling – in 5, 10 and 20 litre configurations. A regular regime of maintenance and disinfection provides clinical staff with the reassurance they need to guarantee optimum dialysis machine function. For descaling, cleaning and disinfection of haemodialysis monitors, DialClean Cartridges get the job done. 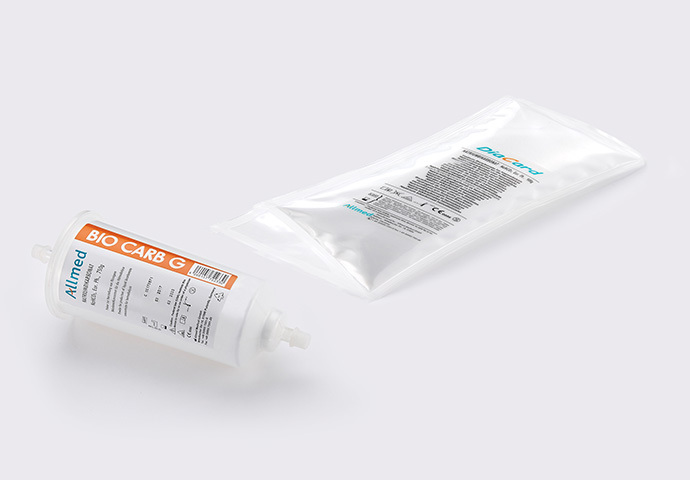 Heat disinfection using our dry-powder cartridges offers excellent cleaning power, complete peace of mind, and environmentally sensitive solutions. Flushes dialysis machines free from precipitated salts of calcium magnesium and organic deposits through the fluid pathway. Citric acid & sodium carbonate configurations. ‘Clean finish’ technology ensures the cartridge is effectively rinsed and drained, and can be safely discarded leaving no chemical residue.